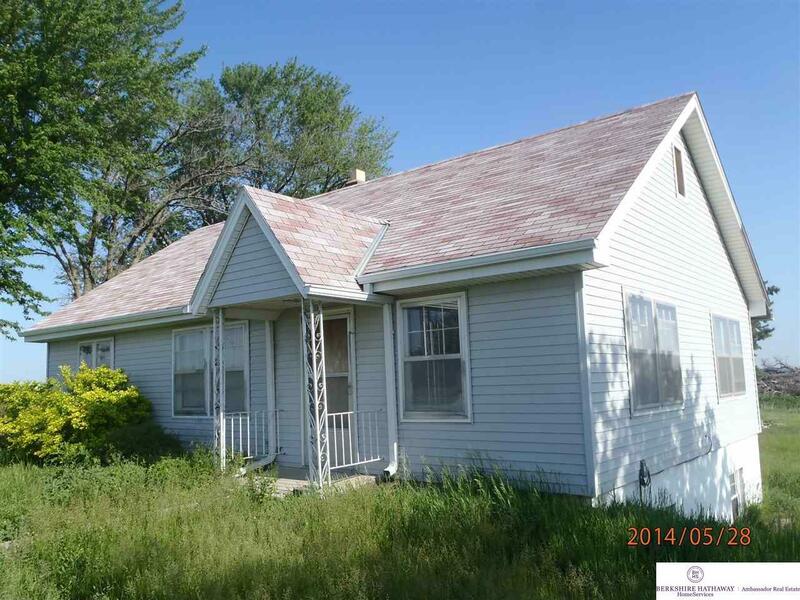 Perfect investment property by Nehawka. This one has a lot to offer if you are willing to roll up your sleeves and get to work! Large side entry/mud room, spacious kitchen, living room and two bedrooms on the main level. Detached 2 car garage. You will love the huge corner lot (1.49 acres) situated on the NW corner lot of hi 34/O Street and 60th St. Sq ft info from county assessor. CASH sale due to condition. Short drive to Omaha, Lincoln, Plattsmouth, Nebraska City and Bellevue.